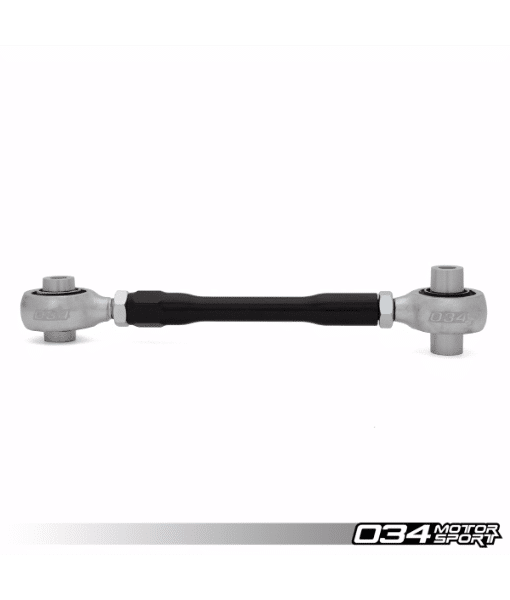 034Motorsport’s MQB Density Line Adjustable Rear Toe Links facilitate simple and precise toe adjustments, making alignment changes for optimal track performance or even tire wear easier than ever. 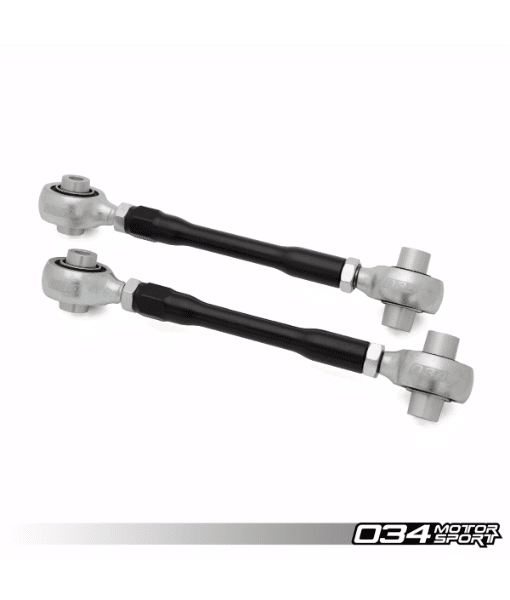 In addition, Density Line Adjustable Rear Toe Links feature Forged Steel Threaded Rod Ends with 90 Durometer Rubber Bushings to ensure longevity and minimise deflection under load – ensuring that proper suspension geometry is maintained during had cornering. 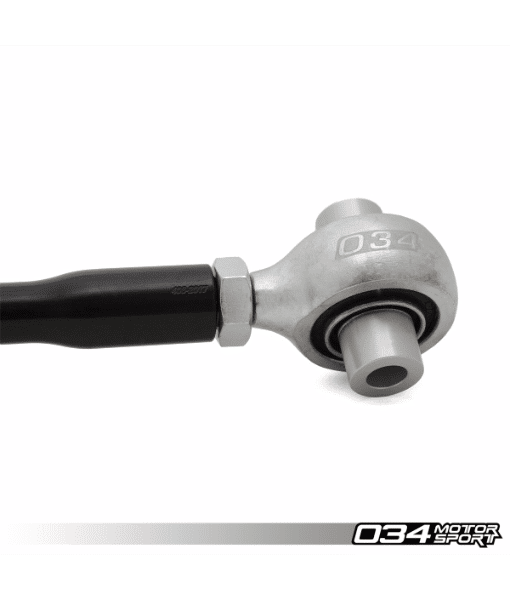 MQB Density Line Adjustable Rear Toe Links were thoroughly tested on the street and track on 034Motorsport’s 8V Audi S3 Development Vehicle before release. 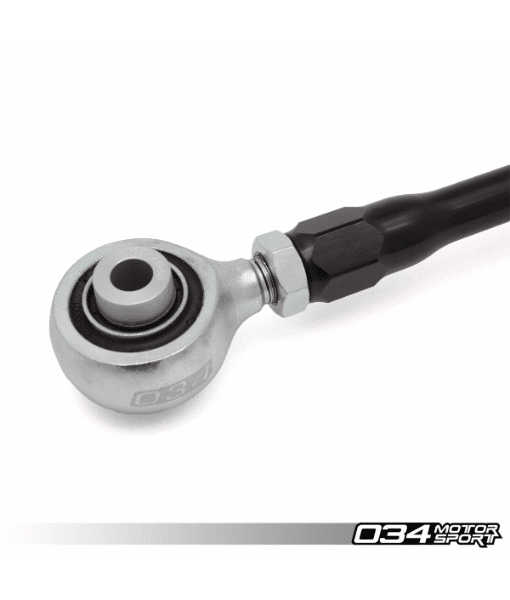 These adjustable toe links are direct replacements for the stock parts, and designed to be fully serviceable and rebuildable.